So, you bought a new shiny stainless steel grill because it looked great and because you figured that it was, well, stainless. Guess again. Not all stainless steel is created equally and just because they call it stainless doesn't mean it won’t stain, discolor or even rust. You need to use some prevention, cleaners and elbow grease if you're going to keep that stainless steel grill shiny and new looking. Clean Your Grill: Even if you have a cover, you will still need to keep you grill clean. Grease and food particles will corrode even the highest quality stainless steel given enough time. This is particularly a problem as we tend to use more acidic marinades and sauces on the grill. These will kill your grill no matter how much money you spent on it. Now, nothing I say can get you to clean you grill on a regular basis, but think about how much you spent on that grill of yours. Now, divide that number by five. If your grill lasts five years (slightly more than average) this is the amount of money you spent on your grill per year. 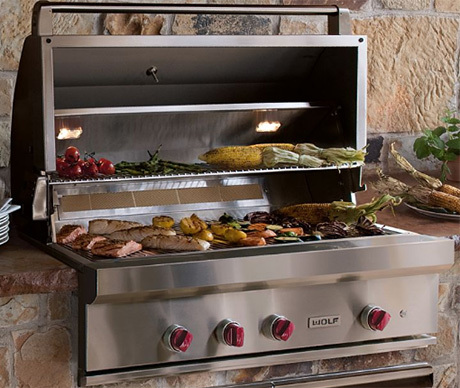 If you can increase the lifespan of your grill by only one year, you just cut the cost per year by 20 percent. Get the most out of your investment by cleaning your grill. Cleaning Stainless Steel: When it comes to cleaning stainless steel you will need to remember that this material will scratch easily and when it does you’re either facing a power buffer or just living with it. So, never use steel wool or metal brushes or go against the grain when cleaning your grill. You also need to avoid using abrasive cleaning agents. Try kitchen appliance cleaners or stainless steel cleaners that you can buy in most stores. You can try appliance stores because they tend to know a little more about what they are selling. One cleaner we've tried is BullFrog Rust Remover. This stuff works as a cleaner and a protectant so it not only cleans your stainless steel, but helps keep it that way. Other than that, you should clean your grill with a soft cloth and a good quality non-abrasive cleaner. This really is about all you’ll need. There are stainless steel polishes, but remember than anything that leaves behind a film or finish will be subjected to the heat of your grill. Stainless steel polishes can discolor under intense heat and make your grill look worse, not better. Now, stainless steel presents some additional challenges. The number one issue people have with stainless steel is that it discolors from heat. After a while you will notice a change in the color of some parts of the stainless steel, particularly in the lid. This discoloration is not something you can stop. You can minimize it by not over heating your grill or by letting it preheat for too long. Also, when you are done grilling leave the lid up for a few minutes to let the heat out of the cooking chamber. Other than that, it's something you'll have to live with whether you spent $500 or $5,000 on your grill. 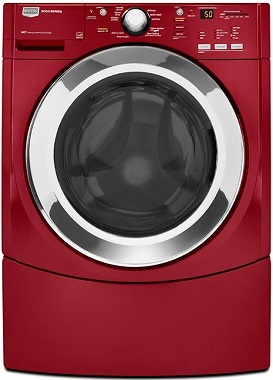 This is the age of the 'front load' washer, and welcome to it. No one can deny that new front loaders are energy efficient. They use much less water and most people say the clothes come out very clean. What we typically run into is draining problems. Because the washer basket is sitting on its side (as if were being poured out), anything left in the pockets of pants and shirts goes past the lip of the basket and down into the drain pump. These drain pumps are typically small electric motors with a plastic impeller. Anything that makes it to the impeller usually damages it, and the pump has to be replaced. The best thing you can do to insure your washer makes it through many loads of laundry and has a long productive life is .....clean out your pockets before throwing your pants in the laundry. Another, and maybe I should have listed it first, is the soap issue. Putting in the right amount of soap has always been, and continues to be an issue. Think of it like this. When you had a top load washer, with the basket sitting upright, it could hold say 30 gallons of water, just for the sake of illustration, and you put in a cup of soap. Now the basket sits on its side and hold 3 gallons or less of water. You have to use 1/10th the amount of soap or less. Too much suds is one problem that can cause draining problems, but the other issue is mildew smell, too much soap can aggravate that as well. This is why the 'Affresh' tablets came out, to clean that build up off from between the inner basket and outer tub. We've seen mildew so bad that the tub boot around the opening has had to be replaced. Let's talk about the most common appliance to have a problem with, your dryer. And the most common cause of problems with you're dryer is that 4 inch diameter hose coming out the back, called the vent hose. Where it goes when it leaves the room is very important. If your dryer sits up against an outside wall, and the vent goes straight out, you will not have many problems, unless the hose that connects the dryer to the wall gets kinked. There were many newer homes built with the laundry room in the middle of the house to make it more convenient. The problem with this is the length of pipe required to vent the dryer outdoors. 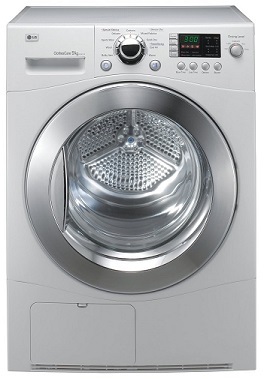 The way a dryer works is the moisture in the clothes is heated and converted to steam, then vents outside. This moist air gets the inside of the vent pipe wet, then the small fibers (lint) that gets past the lint screen sticks to the wet pipe, and over time builds and builds until it clogs like my arteries. This makes it hard for the dryer to get rid of the moisture from the clothes, it has to work much harder, and can lead to over heating problems actually causing the dryer to fail. Homeowners with dryers that are not against an outside wall need to have the vent cleaned at least every five years by a professional vent cleaning service. Content copyright 2013. Bartels Appliance. All rights reserved.